The latest tiny house advocacy news, from zoning to building code victories, to local efforts to legalize tiny house living. Tiny house advocacy efforts are happening all over the country. They need your help! Here we share the latest legalize tiny efforts, calls to action, and of course, victories. Follow along to stay up-to-date on important news. Please email us any relevant information that you would like us to share. Washington Senate passes the first of five proposed tiny house state bills! 4/4/19: SB 5383 is another step closer to approval. Contact your representatives to help get this bill across the finish line! April 2nd members of the House Committee on Local Government voted to move the bill from committee to the house floor vote. The fight is not over, we have a floor vote where all Representatives get to vote y or n. Then it goes to governor Inslee to pass. We thank Representatives Pollet, Chair; Peterson, Vice Chair; Kraft, Ranking Minority Member; Griffey, Assistant Ranking Minority Member; Appleton, Goehner, and Senn for their attention to this bill and our housing crisis. We thank Senator Hans Zeiger especially for being a world changer and helping push this cause. Tiny houses will not end homelessness nor end the housing affordability crisis but will be a step for affordable home ownership opportunities needed to fill a certain gap. We can see a little light in this world. Please contact your Representatives today in your district https://app.leg.wa.gov/districtfinder/ and ask them to vote yes on bill 5383. 3/7/19: SB 5383 to allow tiny house communities passed the Senate 44-2! Now it’s on to the State House for next round of approvals. We all know of the need for more affordable housing in our state and we desperately need new housing options. This is a new housing option. It is not one that is going to deliver us completely from our affordable housing crisis, that’s for sure. 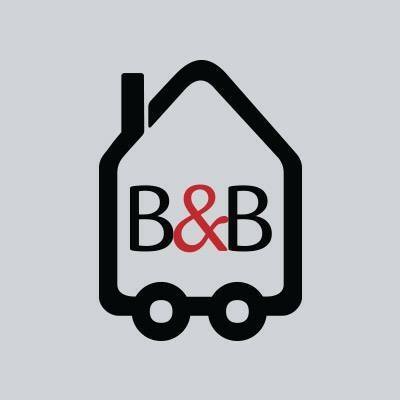 Senate Bill 5382 (tiny house ADUs): would allow for Detached Accessory Dwelling Unit Tiny Homes to be allowed for like a mother in law unit. Call-to-Action from Pocket Mansions: The public hearing took place on 2/6/2019. The WA State Senate won't actually vote on this bill for at least a month so we need EVERYONE who loves tiny houses to flood them with e-mails and phone calls to show how important this legislation is! Senate Bill 5383 (tiny house villages): would allow for cities and counties to develop villages and communities specific for tiny homes without them taking the liability risk. House Bill 1206 (tiny house use in Manufactured Home Communities): would allow for Tiny homes to be placed legally in Mobile Home parks also known as Manufactured home communities. WANT TO HELP? Reach out to your representatives! Here’s easy how-to guide. 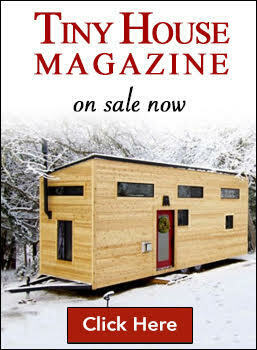 Follow and contact the Washington Tiny House Association for more information. 3/11/19: The proposed tiny house zoning ordinance is moving forward. Public comment is open until next week’s planning board meeting. It is expected to pass, and will be voted on at the Town Meeting, the last week in May. More details available here. 3/7/19: The Great Barrington, MA planning board is considering adding movable tiny houses (aka tiny houses on wheels) to their zoning code. Jonathan Hankin is the chair of the GB planning board, a real estate agent, and an architect. He is also a fan of tiny houses. He writes: "As proposed, MTH's will only be allowed as an ADU which means there has to be a primary dwelling. It seems that defining it as an ADU is hopefully the path of least resistance. Still need a 2/3 majority at town meeting to allow them. Tiny houses that are put on a foundation are already permitted as an ADU under our current bylaw but would, of course, need to meet the stretch code adopted by GB. We are also seeking to increase the allowable number of ADU's to two." 3/9/19: Developer Joseph Mendola is the leading advocate behind House Bill 312 that would require communities across NH to allow movable tiny homes in any residentially zoned area. It would be the first state to allow THOWs by right, as permitted use. Per the Concord Monitor, the bill was tabled for the time being, after some concerns were raised, including Department of Environmental Services fears of pollution related to disposal of waste from such homes, likely concerns around composting toilets. The bill will be the subject of a study committee, and will hopefully come up for approval next year. 3/6/19: Developer, Hope Construction signed a contract with city to build a mobile home park on an undeveloped piece of land. Of the 30 future lots, six will be dedicated for tiny houses on wheels. Lot rents expected to run $500-$600/month. 3/5/19: The City Commissioners in Longwood voted unanimously to welcome a tiny home neighborhood to the city— tiny houses on foundation only. Cornerstone Tiny Homes is now working to find land for the first community development. On March 23, they are hosting a tiny house open house in Longwood. Move-in day for the Lake Dallas Tiny Home Village will be pushed back because the project is being put on pause for a grading permit, which land developer Terry Lantrip said he was only recently made aware of. 2/28/19: Lake Dallas Tiny Home Village is experiencing a few snags with the City. Please join developer Terry Lantrip this Thursday, 2/28 at the next City Council meeting to show our support to help him get this project across the finish line. 2/9/19: The long-awaited groundbreaking for the Lake Dallas Tiny Home Village is happening Saturday, February 9th. The first community of it’s kind— THOW only inside city limits, using the IRC Tiny House Appendix Q! Routt County has now adopted the IRC Appendix Q for tiny houses on foundation! They has also released an informational handout about how to gain a building permit and planning/zoning considerations for various forms of tiny housing. The first step in your #legalizetiny process is to find out what your city and counties current view is on tiny homes. Search zoning and planning and look for minimum square footage, ADU policy, and they may even have tiny home language you can search. You can try emailing them directly, although in my experience they send you straight to their website with no details. You can also try doing some research on your city council members and commissioners and find out which ones are most likely to be empathetic to affordable/attainable housing and/or sustainability and /or urban development. Happy Searching! Remember your city and county will have very different opinions on the subject so seek out both! 2/21: Join local advocates to show your support tiny houses at a Routt County Planning Commission meeting. They are considering a proposed tiny house on foundation community, a planned unit development (PUD) by Micro Living LLC. Routt County is home to resort town, Steamboat Springs. San Luis Obispo becomes the second California city to approve movable tiny houses, aka tiny houses on wheels, as accessory dwelling units. In effect as of March 5, 2019. Apply HERE. They follow in Fresno’s footsteps, as documented in Living Tiny Legally, Part 1. This is the fourth ordinance of its kind in the entire US. Read the zoning ordinance in it’s entirety here. The city of Los Angeles is working towards adopting a similar ordinance. After three years of pushing for legalization, Lyons became the first Coloradoan city to approved tiny houses on wheels, aka movable tiny houses, as accessory dwelling units. 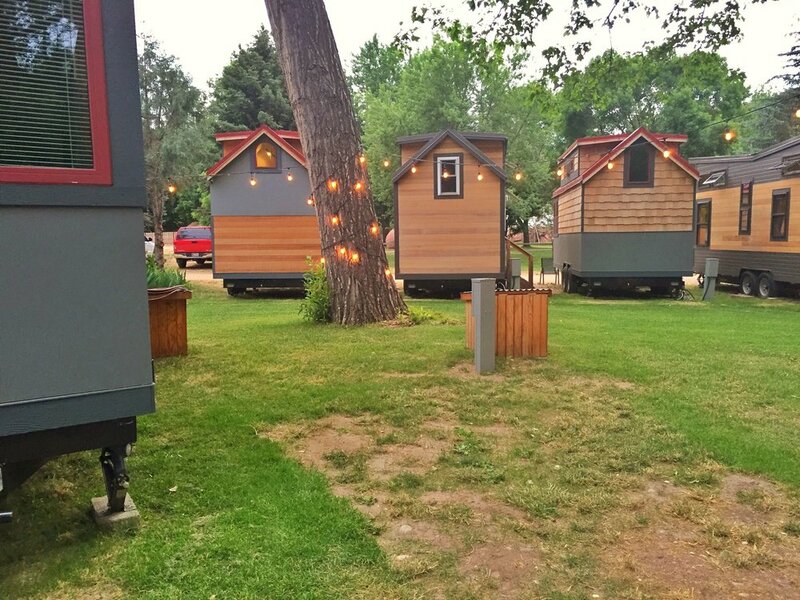 This charming little city in Boulder County is also home to the WeeCasa tiny house hotel. Local advocacy efforts were led by Simblissity Tiny Homes. Read the full zoning ordinance here. The city of Boulder is now working towards a similar ordinance. Many local advocates have been pushing for this for years. Important progress was spurred in the Fall of 2018, after a college student was initially evicted from his tiny house located in a backyard. For a month his tiny house sat in storage, while he and his hosts worked with the city to try and find a solution. GOOD News: the city granted a temporary allowance for the non-conforming structure, while they work toward a long-term solution, city-wide. The new Oregon Reach Code is a voluntary set of standards with a section dedicated to tiny houses. These are can be utilized in place of state building codes, by a DIYer or pro-builder. It requires building officials to accept structures built to it. The Reach Code includes an option for following the 2018 IRC Tiny House Appendix Q, for tiny houses built on foundation, which allows for lower ceiling height limits and sleeping loft access by ladder. It also includes a section for movable tiny houses, aka tiny houses on wheels, allowing for temporary RV-type utility connections. Perhaps the best bit of the new code is this: local building officials have the authority to waive or reduce some of the requirements, when deemed reasonable and when there is no imminent threat to public safety. HUGE kudos to the dedicated folks who laid the groundwork for this huge victory Tiny House Build, SquareOne Villages, and the Oregon Chapter of the American Tiny House Association! While the Oregon Reach Code is a game changer for tiny living in Oregon, it doesn’t solve all the issues for tiny house placement. For instance, the case for movable tiny houses as accessory dwelling units (ADUs) still needs to be made city by city, county by county. On the upside, tiny houses are now legitimized in the eyes of the state. The land use and zoning process should be extremely expedited because of the new building guidelines. Hopefully, that will be the case in Bend, OR, where a young family was recently told they had a mere ten days to vacate their tiny house on wheels, parked behind a small foundation home that they own. They rented the rooms at affordable rates to veterans. His family has been providing a much-needed service for their community, as Bend’s housing stock is limited, especially affordable units. After the city code enforcers told the Bryant family to vacate their THOW or face daily fines, they crammed into one room in the foundation house. The family is determined to fight the eviction, and recently they attended a city council meeting to discuss their situation. 3/4/19: The city is actively looking into zoning language that would allow movable tiny houses as residences in accessory dwelling situations. Council meeting seemed like it went well tonight. I would like to thank the council, mayor pro-temp, and mayor for listening and trying to fit the issue into their busy schedule. They didn’t like hearing no due process or official eviction notice. Thank you all for your support, and I will keep you updated. Code change will take discussion and time, but they are having the conversation! While the process will take time, I hope the city considers granting the family a temporary allowance to stay in their tiny home, while they work towards a longer-term, city-wide solution. Like the evicted Boulder college student that was able to return to his THOW— as discussed above. 2/9/19: Bend’s first tiny house subdivision, The Hiatus, is now open. It was developed by local tiny house builder, Tongue & Groove Homes. The community consists of 22 lots for 400-500 square foot tiny homes on foundation, under the local cottage housing development code. Each house is being sold for $249,000, though far under the $400,000 median price of a local single family home, it is more the developer, Jesse Russell, hoped to charge. He blames the system development charges, which are the same regardless of the size of the house. 3/4/19: The Corvallis City Council unanimously passed new code language Monday that will make it easier for developers to place 'tiny houses' on residential lots. 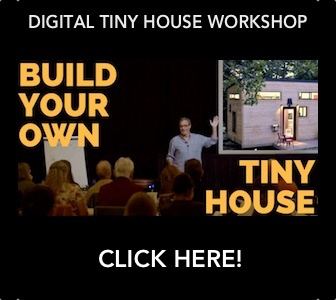 An expansive tiny house movement resource list for advocacy intiatives, DIY building, tiny house parking, blogs, workshops, books and more, collected by Tiny House Expedition. 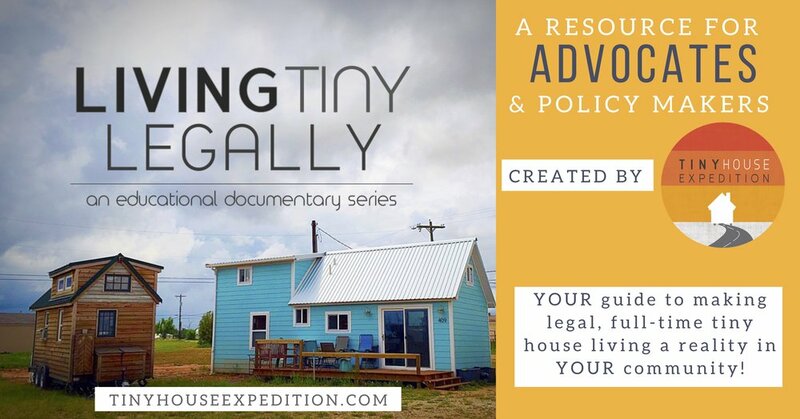 Living Tiny Legally is an educational documentary series on legal issues surrounding tiny housing, and how obstacles are being overcome via collaborative advocacy efforts, innovative zoning and building codes. Three major myths about tiny houses on wheels, and why mobility is worthwhile. To help win over the hearts and minds of neighbors and policymakers, we all need to provide a clear of understanding of the benefits of a movable house. We visit beautiful Durango, an outdoor enthusiast's paradise in southwestern Colorado. Our big reason for visiting was to document the newly approved Escalante Village for the 3rd installment of "Living Tiny Legally". It will be a tiny house on wheels community within the city limits, right off the Animas River Trail, with long-term tiny house rentals and parking spots. The tiny house movement is redefining the traditional perceptions of home and housing. Here’s a look at tiny home terminology, history and insights around the modern tiny living movement. Explore the many tiny home or alternative housing communities, and tiny house friendly places that we have visited.